UNITY in Alaska Part #2: The Journey By Jared Ivins-Massey – UNITY, Inc. This is Part Two of Jared Ivins-Massey’s recent trip to Fairbanks, Alaska where he and 19 Alaska Native youth participated in The University of Alaska Fairbanks’ Tribal Management Program – Tribal Youth Advocacy Institute. The program was developed in response to the needs of Alaska Native Tribal Governments and is part of a comprehensive plan to spread academic education throughout the state and in every indigenous rural community. The importance of reading and gaining a greater knowledge for the world around us is what will carry Native people into the future, it’s also very crucial to the development of Native youth. One of the required readings for the program, was a book entitled Eagle Blue: A Team, a Tribe, and a High School Basketball Season in Arctic Alaska.” Second paragraph, The importance of reading and gaining a greater knowledge for the world around us is what will carry Native people into the future. It’s also very crucial to the development of Native youth. Due to my passion for #RezBall (reservation basketball), the book “Eagle Blue” touched me in a profound way. It was through reading this book I learned of the struggle, strength, and resilience of Alaska Native Youth. The raw truth of the team, coach, and community brought me back to my own reality as a White Mountain Apache born on the Fort Apache Indian Reservation. I related to the truth and lifestyle of the people of Fort Yukon, Alaska more than any other story book I have read in all my classrooms. Upon completing this book, I told myself I would one day visit Alaska and hear the truth of these youth face to face, I did exactly that. Through this book and new found knowledge, I discovered the need to advocate for Alaska Native Youth more than ever. As a Native American from the “lower 48,” a term used by many Alaska Native people, I quickly learned of the privileges we unknowingly abuse, because many Alaska Native people would love the services provided to us on our reservations. Although there is much to be done on our reservations, we must learn to appreciate all things great and small. 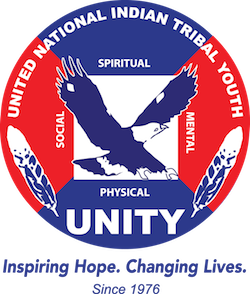 UNITY’s Mission “to foster the spiritual, mental, physical, and social development of American Indian and Alaska Native youth, and to help build a strong, unified, and self-reliant Native America through greater youth involvement.” With this mission statement in mind, UNITY continues to make it’s presence known in indigenous communities across the United States. Through the power of reading and exploring we can gain an insight to the way of life of indigenous communities across the world. Add this book to your reading list!